Now this is pretty interesting. 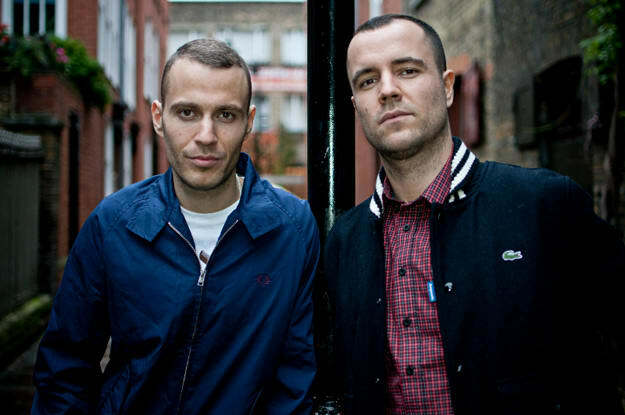 While the Brookes Brothers got their start with Futurebound&apos;s Viper Recordings in 2006, with their first single being the eighth release on the imprint, they actually signed exclusively to DJ Fresh&apos;s Breakbeat Kaos in 2007. They were faithful to the imprint for the last six years, releasing their critically-acclaimed, self-titled debut album with BBK In 2011, and putting out singles as recently as the end of 2012 with the imprint. New year, new contract it seems, as Viper recently announced that the Brookes Brothers have signed an exclusive deal with them, and will be kicking this union off with the huge "Carry Me On." Zane Lowe&apos;s already thrown this into his "hottest record in the world" bin, and it makes sense. The duo has perfected their huge sound, bringing the emotion of Chrom3&apos;s vocals to new heights on this massive drum & bass beast. There&apos;s no word on a release date on this, or what their future plans for Viper are (maybe album #2?! ), but keep it locked. These two will be ones to watch!